Guests are met at the Hotel Laguna Palace in Mestre or Piazzale Roma in Venice** and transferred to La Bella Vita where a Prosecco Welcome awaits you. Late afternoon cruise along the Giudecca Canal to our mooring outside the Naval Museum. 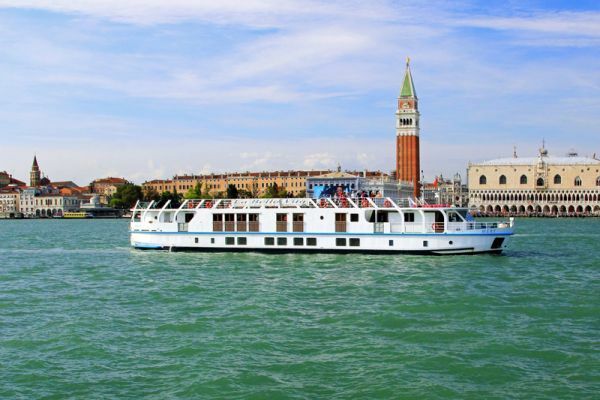 Dinner will be served on board with a selection of wines, followed by an evening stroll to St Mark’s Square where you enjoy a glass of wine at the ‘I Corrazzieri’ bacaro. We cruise to the island of Murano, famous for its glass, and then on a private boat to the island of Sant’Erasmo for our tasting at the superb Wine Estate of Orto. We return to La Bella Vita for lunch then a late afternoon cruise to Pellestrina along the Canal of the Orphans, past interesting islands such as San Giorgio Maggiore with its church by Palladio, San Clemente, Santo Spirito and Poveglia with their brightly coloured houses and painted fishing boats before leaving the Lido en route to Pellestrina where we moor in San Pietro in Volta. Here there is the opportunity to stroll or cycle along the 18th century Istrian sea wall, with the Adriatic on one side and the lagoon on the other. 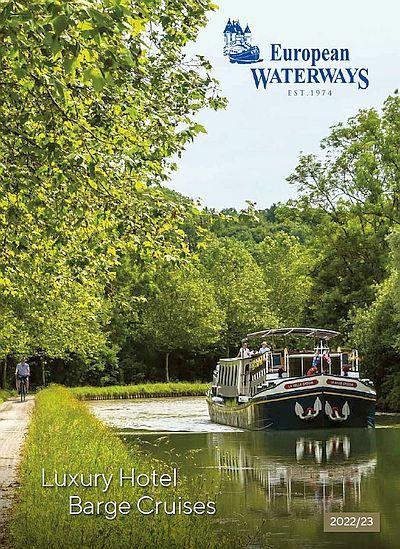 Enjoy an aperitif at a local ‘bacaroi’ before dinner on board. 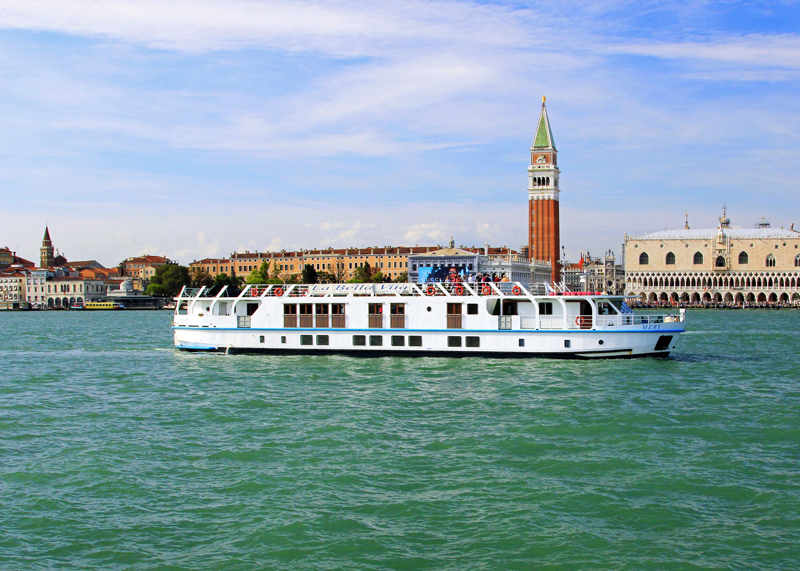 This morning we cruise to the Venetian city of Chioggia, one of the most important fish markets in Italy. The fishing harbour is home to the majority of Italy’s fishing fleets and the vast wholesale fish market serves both local and international markets. The lively, colourful market building houses around 30 fish stalls with fishmongers selling the locally caught catches, of sea cicadas (a delicious crustacean), sole, sea-bass, black sea bass, scallops, anchovies and sardines, which are believed to be particularly healthy due to the local shallow waters. Fish from all over the world is also sold here on a wholesale basis with frozen, conserved and smoked as well as fresh fish being available. Our chef will walk us round the market and make his choice for lunch. This afternoon we cruise slowly along the canal through a nature reserve where we should see colourful flamingos and other wildlife. Dinner this evening will be ashore in the beautiful 17th century Villa Ca’Zen in Taglio di Po. We will be kindly hosted by the owners of this private stately home where Lord Byron courted Countess Giuccioli and wrote some of his best poetry. Morning cruise, leaving the river and entering the Canal Bianco, to Adria. After lunch, we visit the beautiful Renaissance gardens of the 17th century Villa Widmann Borletti. The villa was the project of the famous architect Baldassare Longhena (1598-1682). The monumental complex is one of the most significant in the Veneto for size and beauty. The villa is also a wine-estate, whose wines we will of course taste. Dinner on board at Zelo. Morning excursion with guided tour of the Renaissance city of Ferrara, including the14thC Estense Castle with its moat, drawbridges, marble balconies and sumptuous apartments, and the Schifanoia Palace with its fabulous 15thC frescoes. We also see the cathedral façade with its sculpted images described as an Illustrated Bible. Return to the barge for an afternoon cruise past villages and farmsteads to Governolo. Dinner tonight includes a tasting of Serego Alighieri wines. This morning we depart for the beautiful medieval town of Soave, famous for its crisp, dry wines. What this tasting will show is that the Garganega grape, often with some help from a bit of Chardonnay or some new French oak, can make profound white wines packed full of flavour and interest. 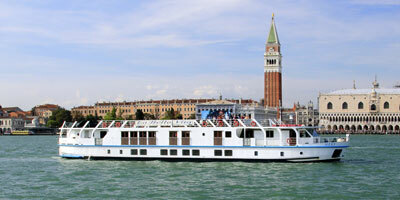 We then rejoin La Bella Vita in time for lunch and navigation to Mantua. This afternoon a guided tour and a chance to explore Mantua city centre. Those opera lovers amongst you will of course be familiar with the story of the Duke of Mantua from Rigoletto. The Palazzi, fine architecture and squares reflect the wealth of the Dukes of Gonzaga. The architecture of the city neo-classical and baroque architecture is splendidly portrayed in the 14th century Ducal Palace, set in 15 gardens and courtyards, a museum, basilica and theatre. The palace has intricate frescoes, a Gallery of Mirrors and an exquisite Rivers Room and houses an impressive 12,000 paintings and sculptures. The town is also famous as the birthplace of Virgil, and of the artists Mantegna and Donatello. We will enjoy more wonderful food and wines this evening at the “Captain’s Farewell Dinner”. After breakfast, guests disembark and are transferred by private chauffeured minibus to the Hotel Laguna Palace in Mestre or Piazzale Roma in Venice**.